A driver allegedly yelled "hateful remarks regarding Jewish heritage" at two men after they left a synagogue and then tried to plow into them on a Los Angeles street, police said. The two men, ages 37 and 57, were "suddenly and viciously attacked," Los Angeles Police Department Chief Michael Moore said at a news conference Monday. The incident unfolded at about 9:30 p.m. Friday when the two victims, standing with other congregants on the sidewalk outside the synagogue, walked down the street together, LAPD Deputy Chief Horace Frank said at Monday's news conference. The men saw a driver who "yelled several expletives at the victims referencing their Jewish heritage," Frank said. The scene after a man allegedly tried to run over two people on the sidewalk near a synagogue in a largely Jewish neighborhood in Los Angeles, Nov. 23, 2018. "The victims obviously were caught off guard by this and they maintained attention on the individual as they crossed the street," Frank said. "At some point they saw the individual run a red light and make a U-turn, accelerated the vehicle at a high rate of speed, deliberately driving that vehicle towards them." 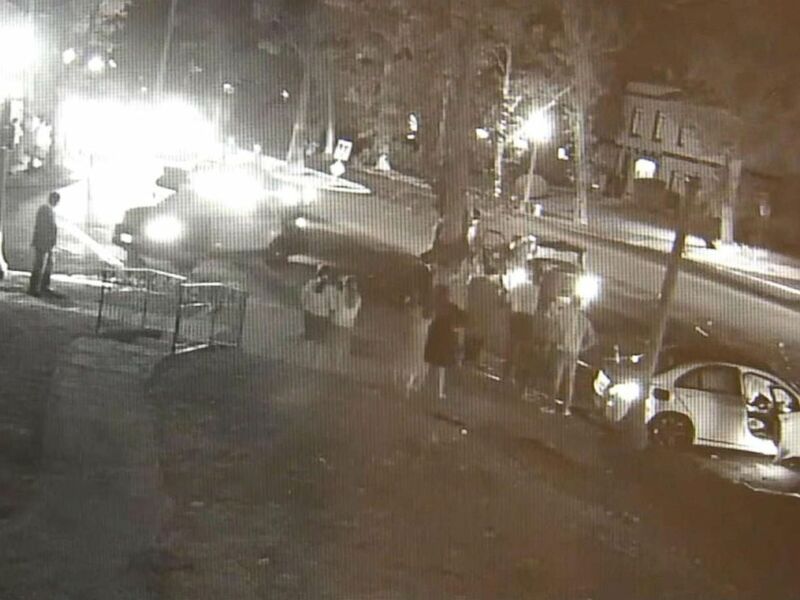 Both men ran behind barriers to avoid being hit, Frank said, but the driver made another U-turn, allegedly again trying to target the victims. The suspect, Mohamed Mohamed Abdi, tried to speed away from the scene but crashed into another car, Frank said. Mohamed Mohamed Abdi in an undated photo. "That vigilance is what saved their lives," Chief Moore said of the victims' decision to keep an eye on the suspect. "I'm grateful that we have Angelinos of all faiths and walks that recognize that there are threats that are out there [that] are real. They could strike at any point in time." 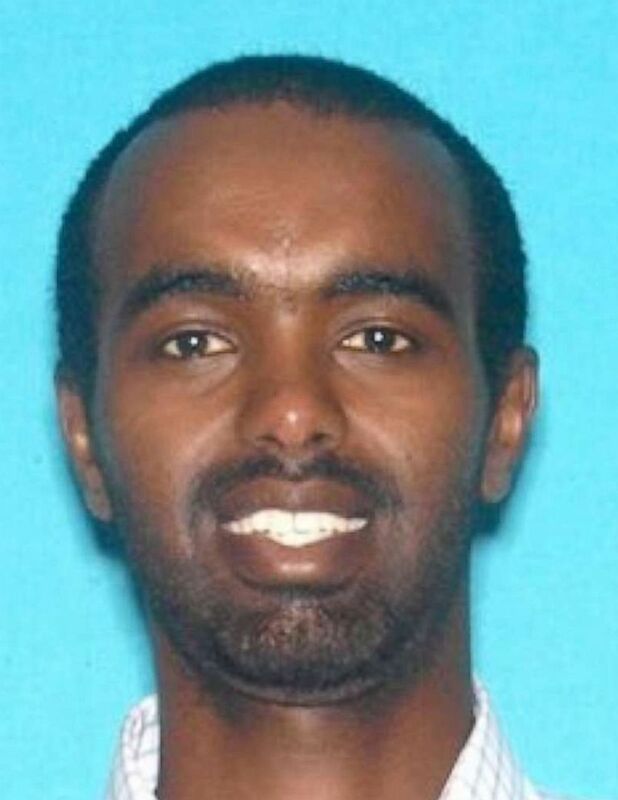 Abdi, 32, was arrested for assault with a deadly weapon, police said, adding that the case is also considered a hate crime. 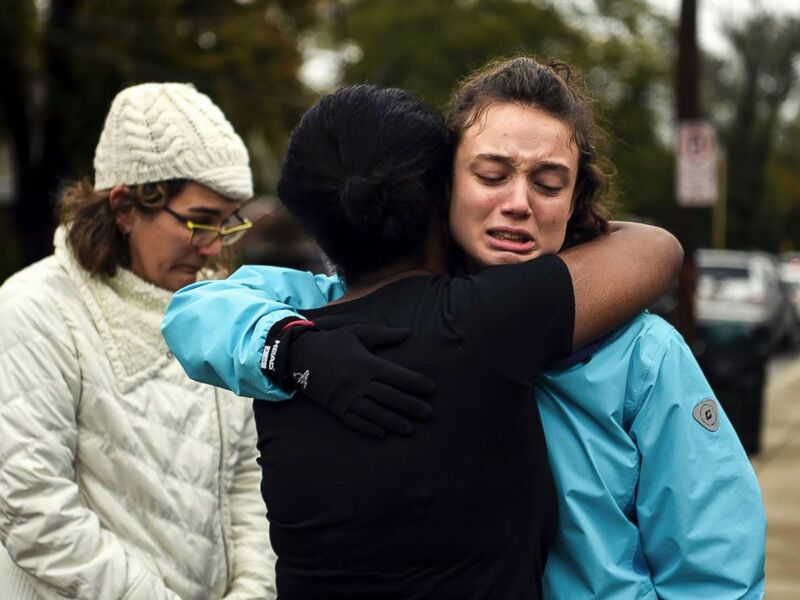 "Just four weeks after the terrible attacks in Pittsburgh we see this action outside a synagogue here in Los Angeles," said Chief Moore. 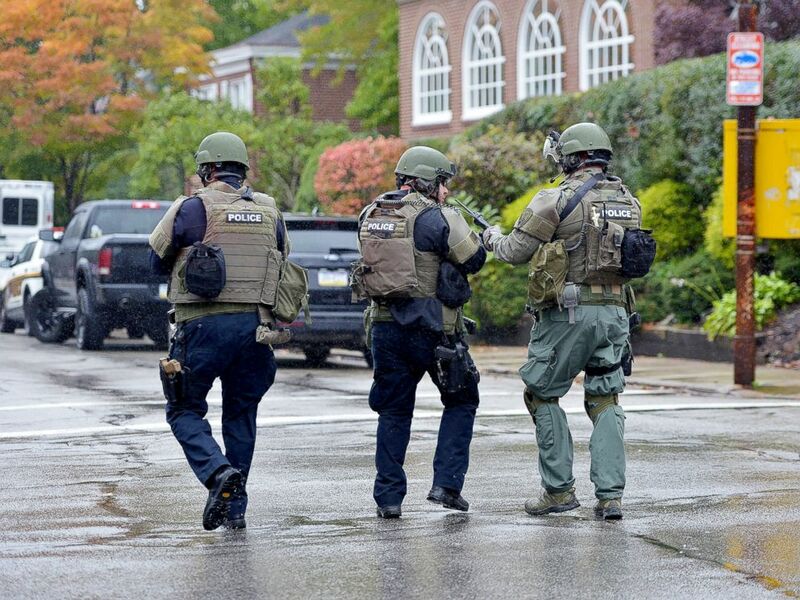 In October, 11 Jews, including a 97-year-old woman, were gunned down inside the Tree of Life synagogue in Pittsburgh in an anti-Semitic attack. "Hate in America is on the rise," Moore said. "That has to change." In 2017, the Anti-Defamation League reported a 57 percent increase in the number of anti-Semitic incidents. For the first time since 2010, there was an anti-Semitic incident in every state, the ADL said. 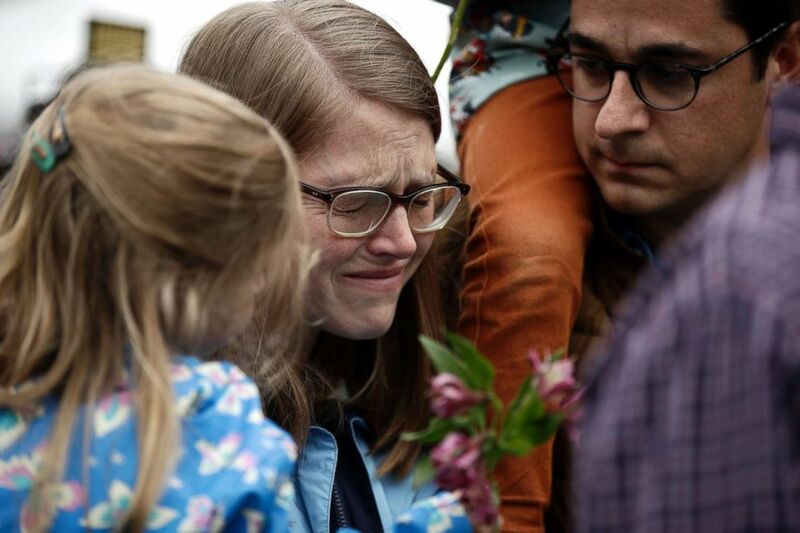 A woman cries as she waits to place flowers at the Tree of Life Synagogue in Pittsburgh, Oct. 28, 2018. Moore said he looks forward to an "aggressive and active prosecution of this individual." The suspect's background will be thoroughly investigated, police said. It's believe he acted alone but it is possible he has connections with other similar like-minded individuals, police said.